whose benefits are being supported by modern research. 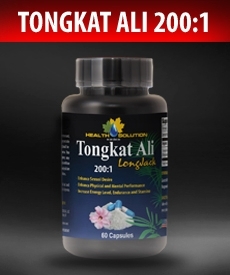 TONGKAT ALI does not contain steroid hormones. including potent protective antioxidants which inhibit cellular aging. significantly boosts libido in men and women by increasing testosterone. key factor in increasing libido.